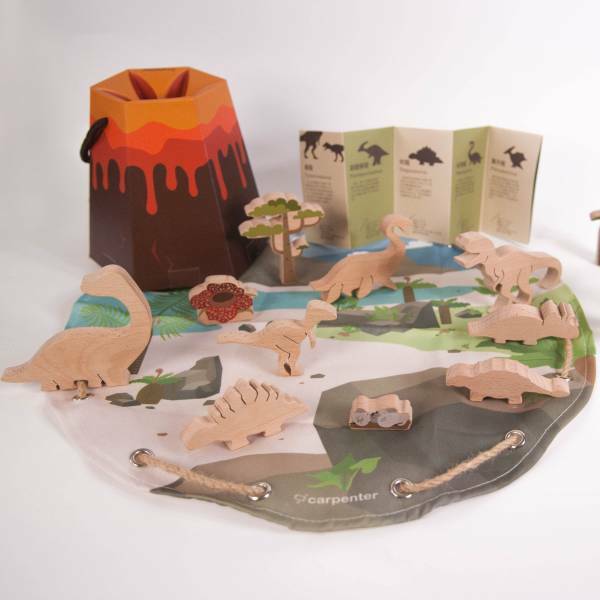 Each set includes 10 dinosaur blocks, 4 landscape blocks, scenic storage bag and the iconic volcano packgaing. 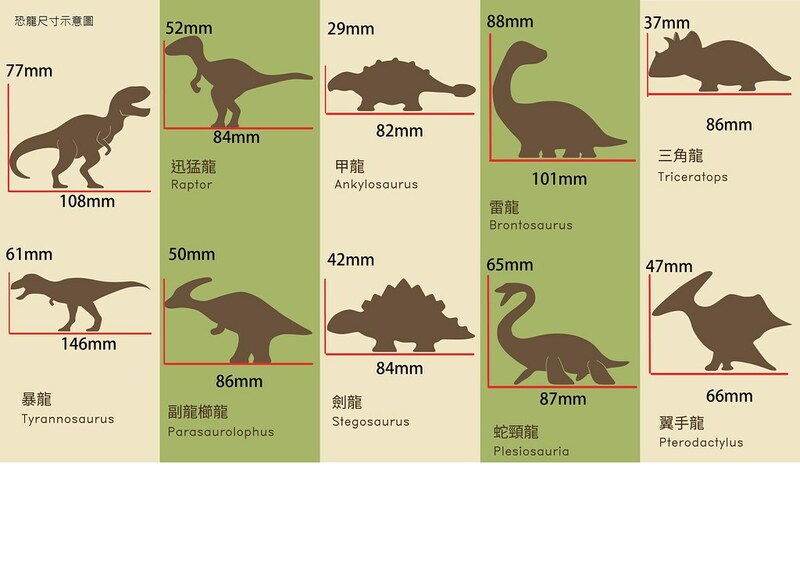 -Dinosaurs introduction card - explanation of their looks and characteristics. - Scenic storage bag - Develop the good habit of cleaning up after playing, quick storage and easy to bring along. 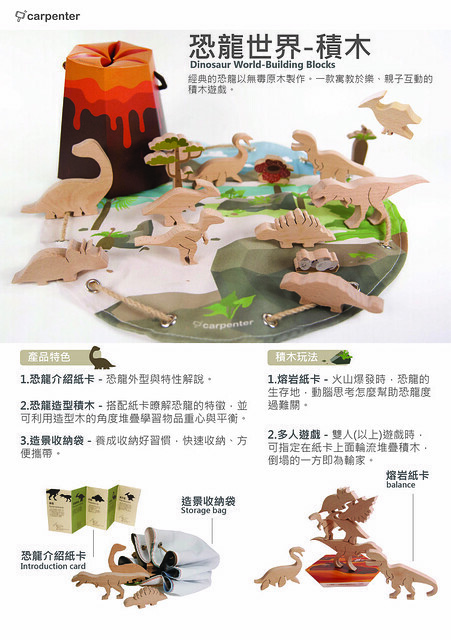 - Lava paper cards - Find a way to help the dinosaurs survive through volcano eruptions.